Carapa latifolia Willd. ex C.DC. USDA Forest Service; Washington, DC. Quite detailed information on more than 60 species of Caribbean timber trees, giving species descriptions, habitat, detailed info on the wood and some info on other uses. Available for download on the internet. S. America - Brazil, Peru, Ecuador, Colombia, Venezuela, the Guyanas; C. America - Panama to Guatemala; Caribbean - Trinidad to Dominican Republic. 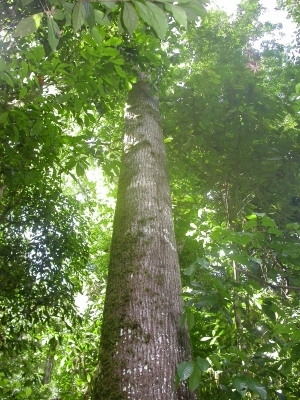 In South America, the tree showed a mean annual diameter increment of 1.6 - 2 metres in 25-year-old plantations.